As I said before I was given the chance to review some great products. One company that I received a few products from is Kensington. Kensington sells really cool computing accessories. I was given a wireless mouse, computer lock and a tablet stylus to review. 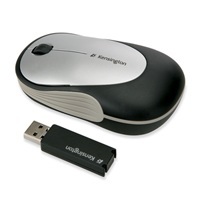 The Kensington Ci10 Wireless Notebook Laser Mouse is great. Coming from someone who wore out the buttons on my last laptop’s touchpad, I know you need to have a regular mouse too! The Kensington mouse is great. It plugs into your USB, it is wireless so you don’t get tangled in cord. It’s small and lightweight so it’s portable. It has a rubber grip so it’s easy to hold. It has a wheel for scrolling. Overall, I would definitely recommend this mouse. 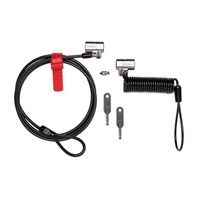 A Laptop Lock is a must for anyone who travels. This package actually has two locks that are both keyed the same, one that you can use while in the office and the other for when you are traveling. They are made of steel cable and are tamper resistant. I would also recommend this lock. 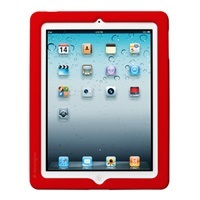 Kensington BlackBelt™ Protection Band for iPad 2 Giveaway: The BlackBelt Protection Band protects the corners and edges of your iPad. I will be giving away 1 of these Bands to one of my lucky readers! Disclaimer – Kensington supplied me with these products for review purposes only. I was not compensated for this post and all opinions are that of my own. I am a facebook fan of insider deals (Marysa N). I already follow via GFC - my display name is "Beeb". Thank you for another great giveaway!